Wow! 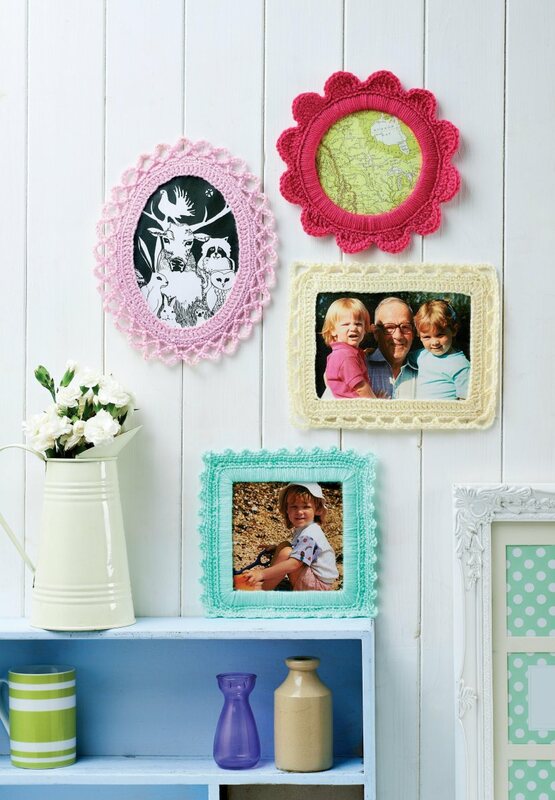 Do you have a lot of time on your hands or looking for something fun to make? 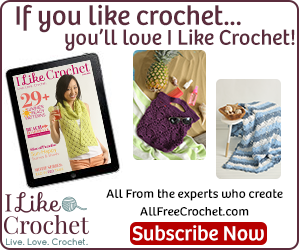 Try the Brain Teaser Blanket! 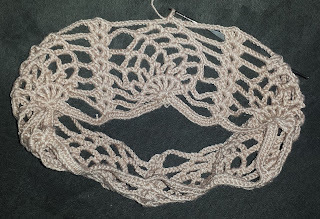 Completely made up of crochet diamonds, you sew them together in alternating color sequences to give this three dimensional effect. 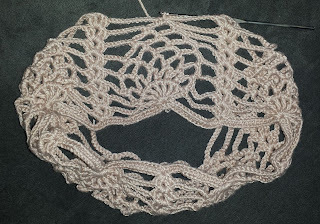 yarn in getting 3 consecutive tones; 18 balls boats cotton; 8 of each color over a hemisphere of and 2 balls for loops and edge. I don't know who the designers are over at Drops Design at Garnstudio, but they sure release some beautiful patterns! This stunning top features lovely strategically placed lace with a racer back strap. This beautiful skirt has a very bohemian feel to it, and a definite hippie style! You construct this skirt by arranging various sizes of granny squares and finishing off with a long lace crochet hem. 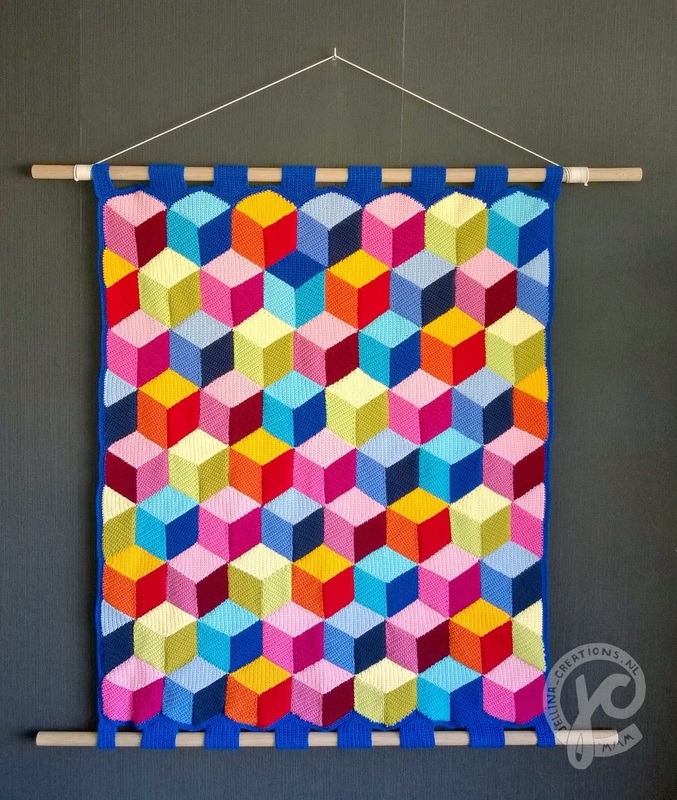 I love the colors used in the pattern, however, you can use any color combination. 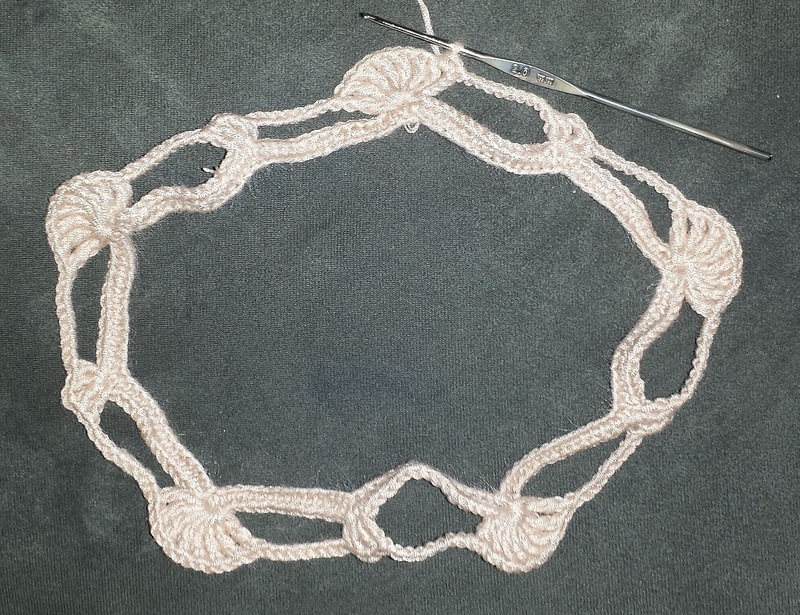 This simple crochet necklace pattern is so easy, that the most difficult part may be just finding the right size square frame for the pendant. But don't get me wrong, I am saying nothing bad about this design, in fact; I love it! 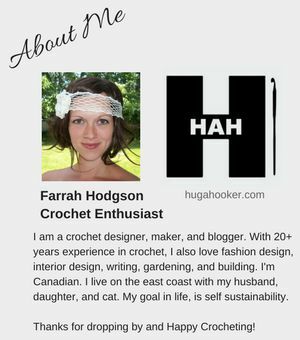 Sometimes, when it comes to crochet jewelry, we can overthink designs, when the perfect answer to a beautiful pattern is simplistic with a punch! 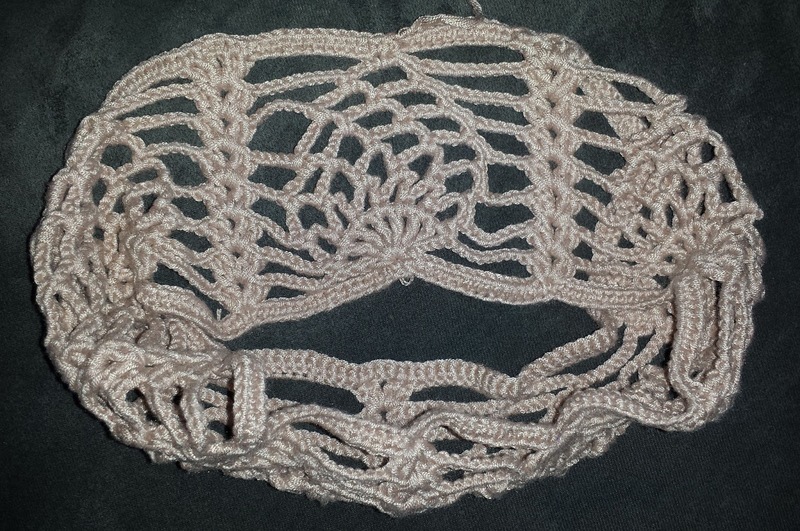 Lacey, airy and beautiful, this crochet cropped summer top is another wonderful design from Beautiful Crochet Stuff! 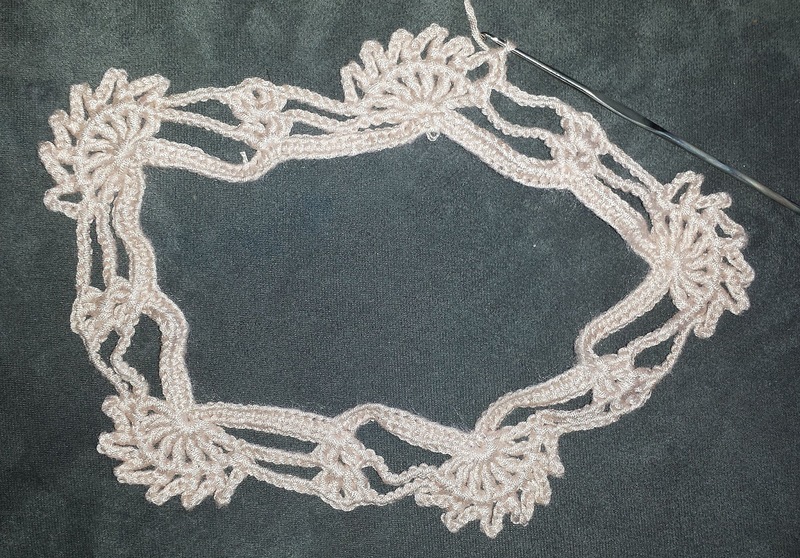 The pattern begins with the upper neck and arm openings in sort of a pineapple design, and continues on in "tapes", which are vertical rows of crochet lace, attached as you go. It's summer and that means that it's farmer's market season! You should always bring your own bag to store your goods. 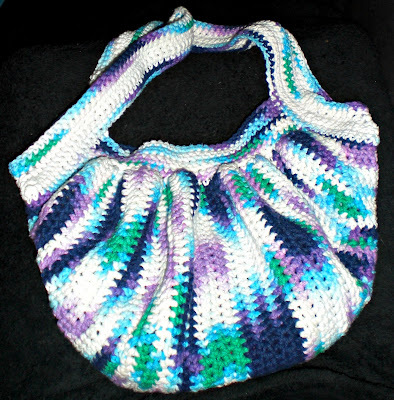 Besides cutting down on plastic bag waste, crochet bags are stretchy, strong, and stylish like this great design! 1 spool of Bockens Tow Linen 6/1, 100% linen. Oatmeal. This is a remake of the original Fat Bag, which was written in Portuguese. This beauty includes English written instructions and more depth or "fatness" to the bag. For such a simple design, the end result is very pleasing! 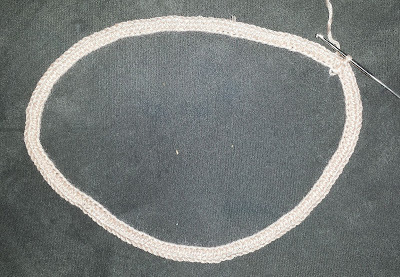 I've seen a few of these as projects over at Ravelry, and I also love how one person made it with leather straps. Give it a try! This is great idea! Who doesn't need some organization in their life? 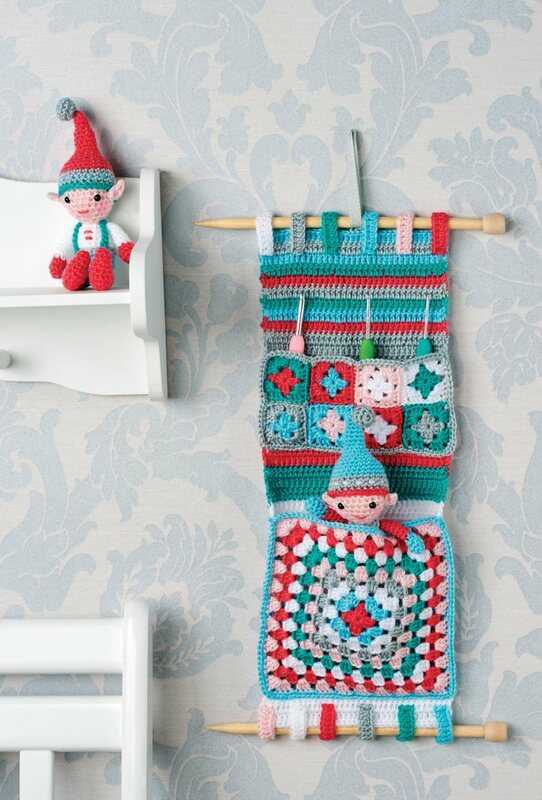 This crochet granny square organizer has so many uses; kids room, closets, pantry, craft supplies, I could go on and on! 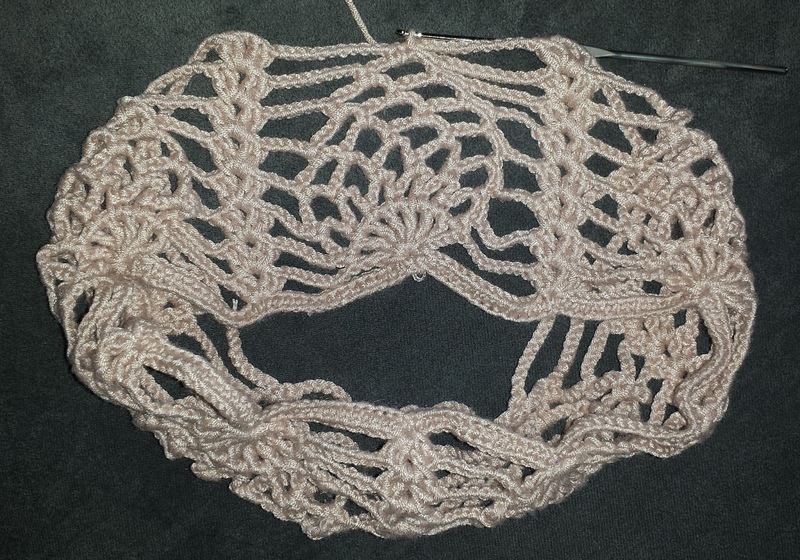 And the large knitting needles finish it off adding a fun touch! This simple Yoga Sock pattern uses front and back post stitches to give this perfect look of sock ribbing. The idea behind yoga socks are to keep an open toe and heel, which are the points on the feet needed to grip a yoga mat or surface, while supporting your feet and keeping them warm. 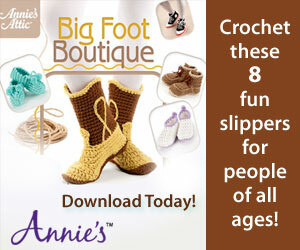 This is great because the toe and heel are usually the hardest part in making socks, and you can skip it! 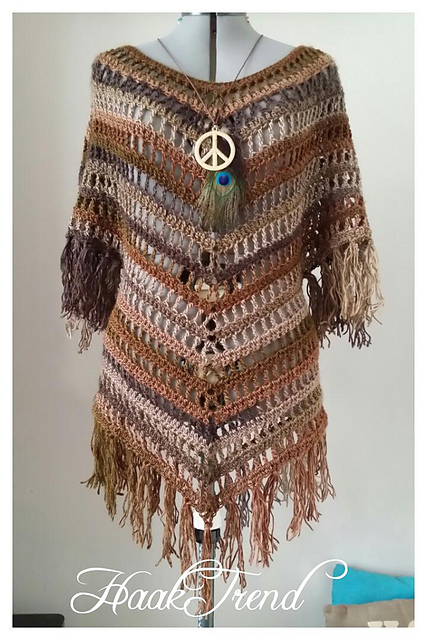 Once again, I am loving the color combinations used in a pattern, especially the neutral tones of this amazing tunic. Along with color, the shape, and the fringes add appeal to this design. Don't be afraid of the Dutch description, this is also available in English! Almost 3 knots (balls) of 240 m.
Just wow! I think I found my new favorite crochet blanket pattern! It kind of speaks for itself, however I must mention the great use of color over a white background makes this beautiful piece pop! 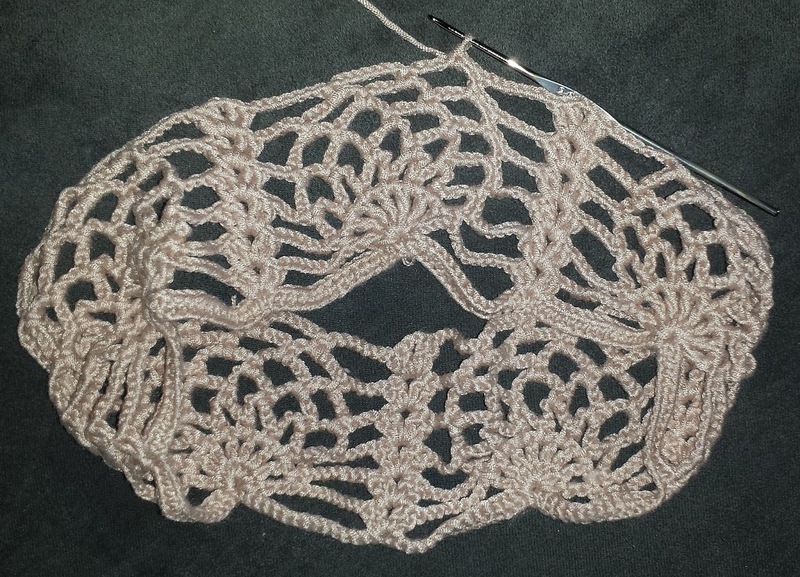 This is also a great "big" project for the beginner crocheter, as you use the same easy square pattern throughout. 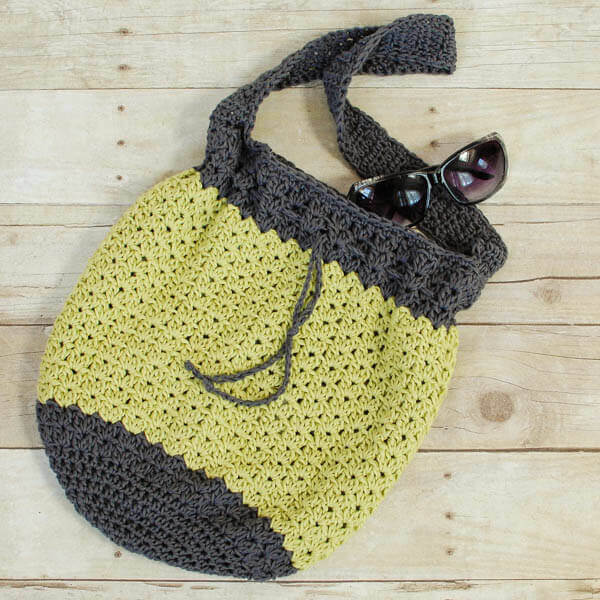 I love the simplicity of color in this nice summer crochet beach bag. This is a case where less is more, any 2 color combination would work fine. By using cluster stitches in rounds and finishing off with an easy drawstring, you can make your own! This unique cropped crochet sweater is perfect for covering up on those cool summer nights! Featuring plenty of versatile stitches and colors, this garment could easily be used into any season. This looks like it could be a lot f fun to make! Lilies represent a peaceful state of innocence returned to to the soul of the deceased. I dedicate this beautiful pattern to my dad, who I lost 5 years ago today. 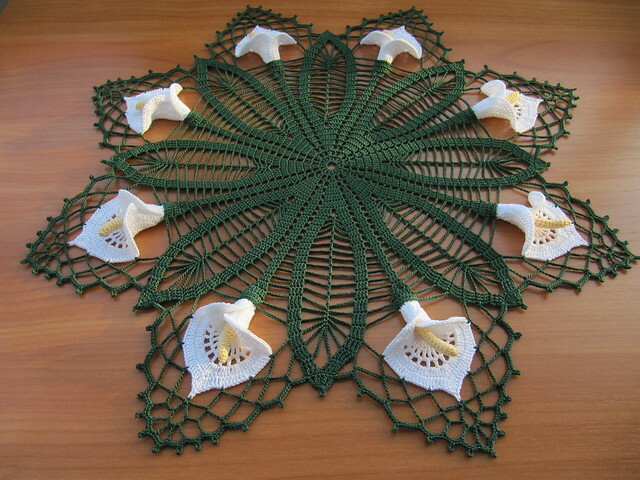 I also dedicate this pattern to everyone who has lost an important person in their life. 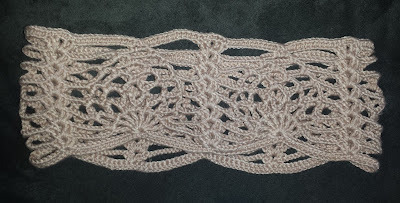 Thank you to the designer for such an elegant crochet pattern, I really love this! Steel crochet hooks Nos. 7 and 12. 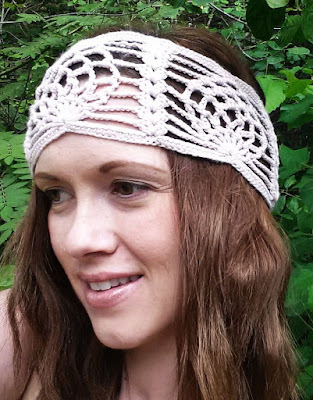 I've been on a headband kick lately, and I think that this is my favorite of all of my headband patterns! I love crochet pineapples and really wanted to figure out how it would work in a headband. 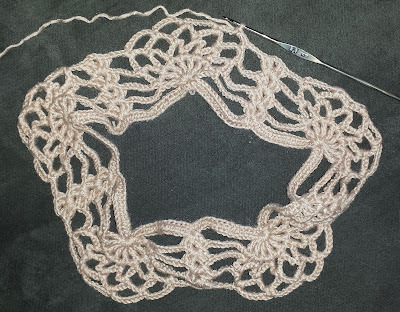 After some playing around, measuring, taking it apart, and re-crocheting, I got perfect! It even turned out a bit better than I had planned, I like how the edges have a bit of curve, where the center of the pineapple motifs give a this a a turban look. 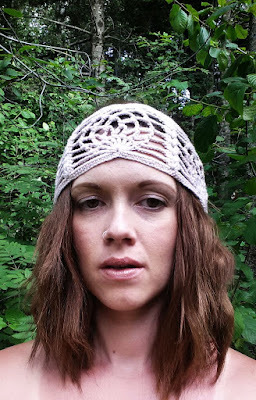 I sell these finished headbands in my Etsy shop, but if you can crochet and you like this pattern, go ahead and make your own! 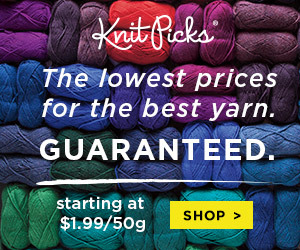 One ball (50g/1.7 oz; 95m/104 yds) Knitca Lovely, 100% Bamboo. Color Tan. Finished Measurements: Approximately 19" circumference (un-stretched) up to 23" stretched (Max); 3" wide. Shell in next Shell= Shell in the ch2 space of next shell. Rnd 2: Ch6 (counts as 1tr and ch1 space); [(tr-ch1) 6 times, tr] in same st; ch9- skip next 14 sts, shell in next st, ch9- skip next 14 sts; *[(tr-ch1) 7 times, tr] in next st, ch9- skip next 14 sts, shell in next st, ch9- skip next 14 sts** repeat from * to ** 4 times; sl st in the 5th ch of beginning ch6 to join; sc in the fist ch1 space. Rnd 3: *(ch7- sc in next ch1 space) 6 times; ch7- shell in next shell; ch7- sc in next ch1 space** repeat from * to ** 5 times; sl st in 1st ch of beginning ch7 to join, sl st in next 2 chs, sc in the ch7 space. Rnd 4: *(ch7- sc in next ch7 space) 5 times; ch5- shell in next shell; ch5- sc in next ch7 space** repeat from * to ** 5 times; sl st in 1st ch of beginning ch7 to join, sl st in next 2 chs, sc in the ch7 space. Rnd 5: *(ch7- sc in next ch7 space) 4 times; ch3- shell in next shell; ch3- sc in next ch7 space** repeat from * to ** 5 times; sl st in 1st ch of beginning ch7 to join, sl st in next 2 chs, sc in the ch7 space. Rnd 6: *(ch7- sc in next ch7 space) 3 times; ch5- shell in next shell; ch5- sc in next ch7 space** repeat from * to ** 5 times; sl st in 1st ch of beginning ch7 to join, sl st in next 2 chs, sc in the ch7 space. Rnd 7: *(ch7- sc in next ch7 space) twice; ch7- shell in next shell; ch7- sc in next ch7 space** repeat from * to ** 5 times; sl st in 1st ch of beginning ch7 to join, sl st in next 2 chs, sc in the ch7 space. Rnd 8: *(ch7- sc in next ch7 space); ch9- shell in next shell; ch9- sc in next ch7 space** repeat from * to ** 5 times; sl st in 1st ch of beginning ch7 to join, sl st in next 2 chs, 2sc in the ch7 space. Rnd 9: *ch11- shell in next shell, ch11- 2sc in next ch7 space** repeat from * to ** 4 times; ch11- shell in next shell, ch11- sl st in 1st sc to join. Rnd 10: Ch1, sc in same st, working along all shells and chains, sc in each st around, sl st in 1st sc to join. (150sc) Fasten off. Sew in ends. 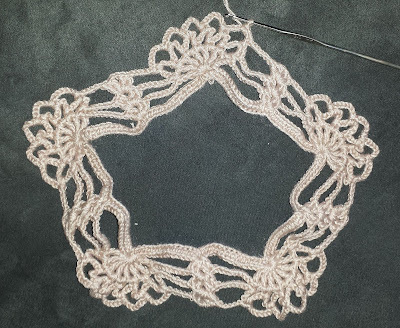 This nice crochet granny square uses color technique and the use of a star pattern to complete this cool design. So show off your American pride with this super easy granny square pattern and add it to your collection! 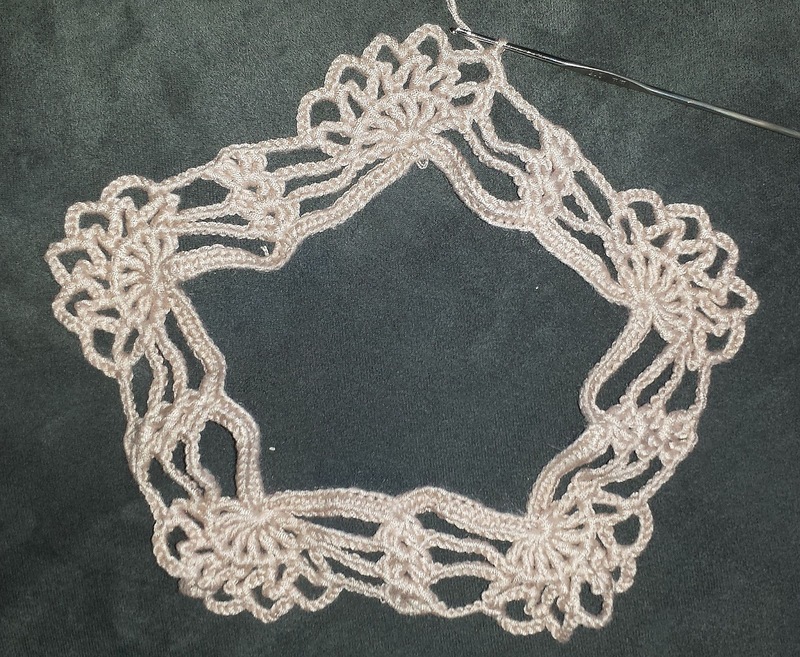 Size: Finished square is 6 inches. 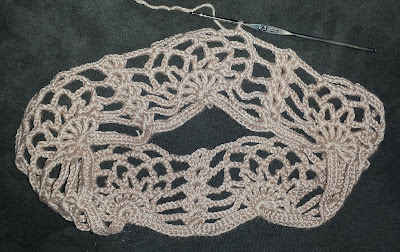 I am so excited about this pattern! 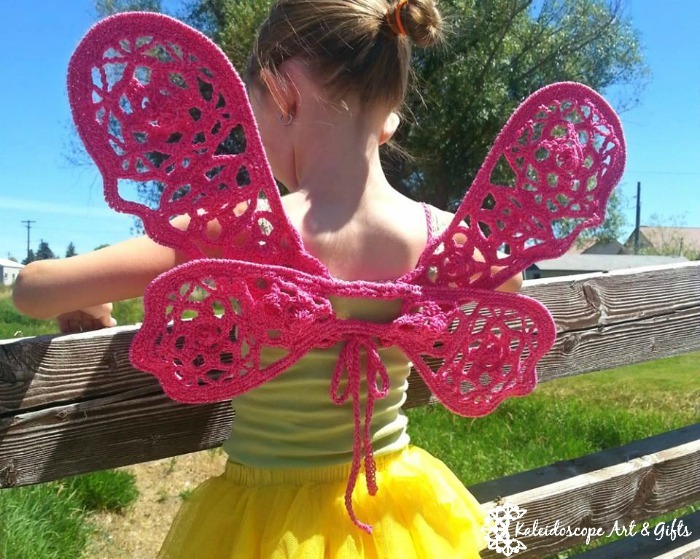 I had thought about crochet fairy wings in the past, and it kind of got put on the back burner, but now there's a pattern to follow! And a nice pattern at that, now to find time to make these! Happy Canada Day fellow Canadians! 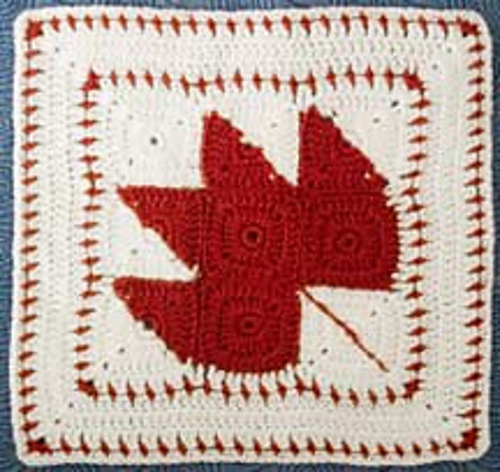 Here's a cute take on the granny square that implements the image of the maple leaf. 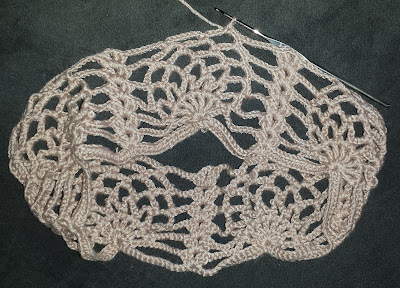 As you know, granny squares can be used in almost any crochet design, and this one makes a nice addition to your collection!